Keep Safe Nitrile Coated Knitted Glove Knitted glove with palm coated in Grey nitrile. Suitable for light handling or fine assembly work. COTTON KNIT WRIST. RUBBERISED PALM COATED Excellent Electricians Glove Colour: White/Grey Size: 8, 9, 10 Unit: Pair If you have any queries then please contact us. 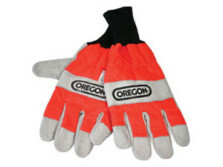 Chainsaw Gloves with saw protection Lightweight chainsaw protective gloves - Oregon 8cm is small, 9cm is medium, 10cm is large and 12cm is extra large. Furniture cow hide gloves. Safety cuff with vein protection patch. Normally supplied with palm patch. Elasticated back. Supplied as a pair Please contact us if you have any queries. Cow split suede rigger glove, patch palm, stripe cotton back and cuff. Minimum risk. Ideal Gloves for working outdoors in Cold Wet conditions. Groundsman, Construction, Greenkeepers, or Gardeners. Comfortable windproof glove in water-repellent nylon with PU coating on one side. Fully lined with comfortable thick jersey. 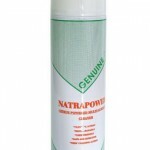 Elasticated palm and back comes with self-fastening system. Conforms to EN 388 Intermediate Design 4122 Other sizes and styles may be available. If you have any queries then please contact us.